You can also find us on Sundays in downtown Ojai at the Ojai Farmers Market, 9am-1pm (300 E. Matilija Street). While we are open for drop in tastings and shopping seven days a week, our more detailed guided tours & tastings run on Wednesdays, Saturdays & Sundays. All tours and all tastings are free to everyone, and do not require a reservation. We are open from 10am-4pm every day of the year, rain or shine, save some national holidays. If you want to visit us on a holiday, odds are we’ll be open, but please call to check first. Our guided tours do not begin at any specific time, but rather as people show up and are ready to go. We average about one tour per hour, with each tour taking about 30-40 minutes, depending on the size and disposition of the group. You are also welcome to head directly into the tasting room to sample and shop. 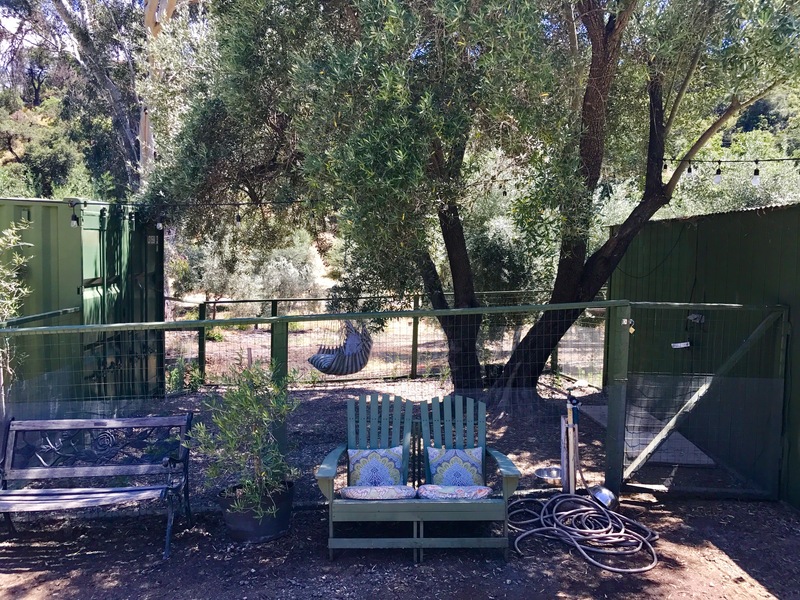 Our tours begin outside, in our grove of 150 year old heritage olive trees, where we discuss a bit of the history of olive oil, how we came to produce it here in Ojai, the cultivation of the trees, the harvesting process, and more. After about 20 minutes we’ll head inside to show you our olive mill, and walk through how extra virgin olive oil is extracted, blended & bottled. We also cover topics like cooking with olive oil, storing olive oil, shopping for olive oil, how to tell the good from the bad, and things like what exactly “extra virgin” really means. Our barn area and tours are great for people of all ages, so by all means bring your kids. Our facility is also handicap accessible, and vehicles carrying wheelchairs are welcome to drive all the way up to our main barn’s loading area. We also welcome pets, and have a special enclosure area for our four legged friends to enjoy themselves while you tour & taste. Large groups are very welcome, though if you’re more than 20 or so, it’s probably best to call us in advance. We are also able to schedule private group tours & tastings any day of the week, so please call us if you’d like to set that up. Our farm can be a bit tricky to find, though we do post signs on tour days to help guide you to us. 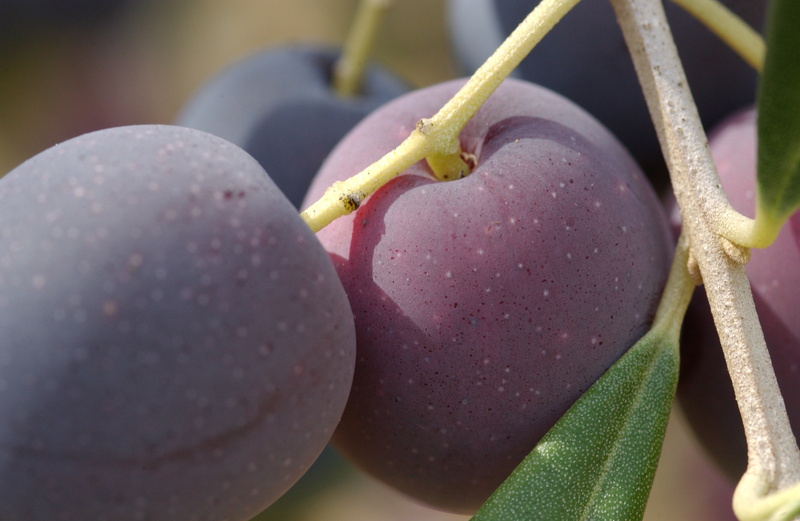 GPS systems will often lead only to a corner of our land, but not necessarily to the Olive Barn, where our tours and tastings are. To find us, as you head up Ladera Road (off Thatcher Road), stay to the left at every fork. You will seem to be going off Ladera Road and onto Hermitage Road at one point, but that is the right way. Another bearing to the left at the riverbed shortly ahead, and you will be on your way up into our little valley. 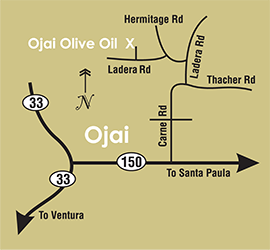 From there on we have permanent signs marking the way to Ojai Olive Oil, and you will see the groves of olive trees as you head into our farm. Parking is available onsite. Once settled in, make your way towards the green buildings. 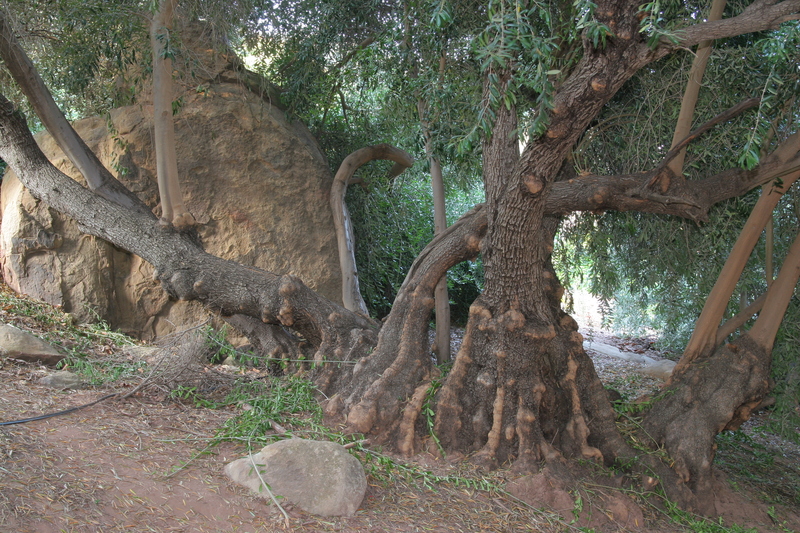 Tours generally start outside by the picnic tables, in our grove of 150 year old olive trees. Now come on over and visit us! We promise you'll enjoy yourself. We love what we do here, and we love having visitors.